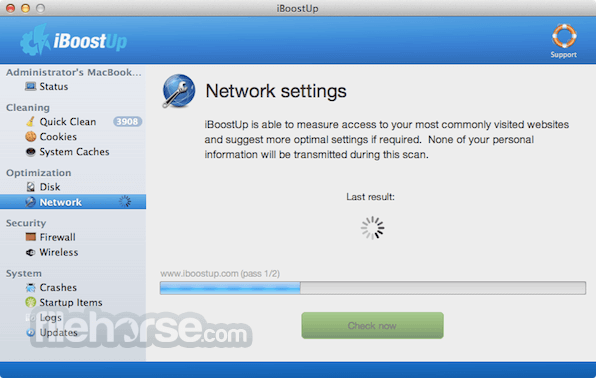 Has your Mac become slow and unresponsive? Fix slow performance now! 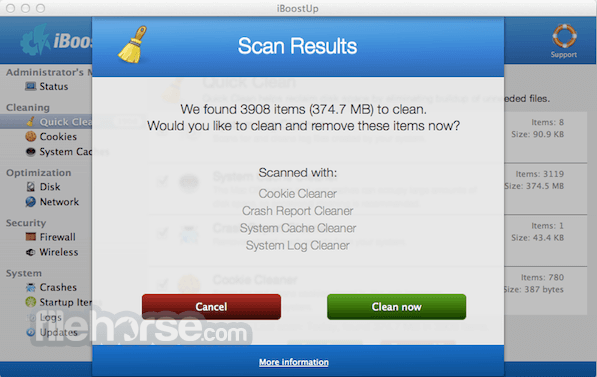 iBoostUp (formely known as iTuneUp) tunes up and optimizes your Mac by purging unneeded files, fixing your hard disk, giving you performance recommendations, protecting your privacy by removing cookies, displaying system information and much more! 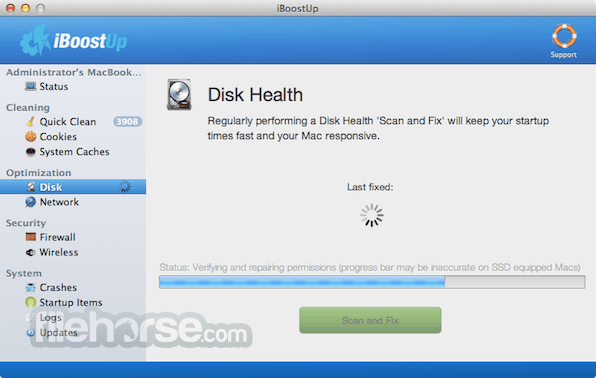 Has your Mac become slow and unresponsive? Has it lost some of the zing it used to have? Are you getting unexpected crashes and error messages? 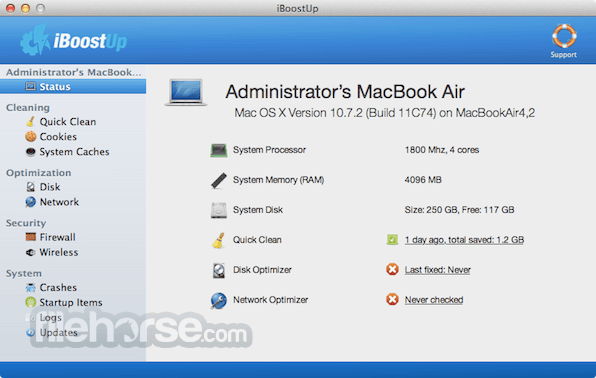 Is your Macbook getting hot and the fan running constantly? Fix slow performance now! 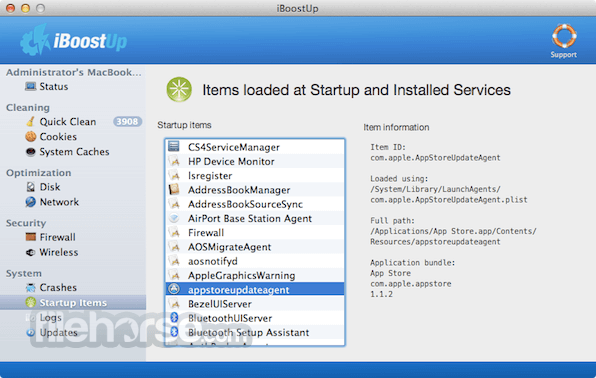 Download iBoostUp for Mac for free now!